Louisville, Kentucky has considerably changed from how it was viewed during and before the 18th century to today. The city is rich in French influence. It got its name from French King Louis XVI for his help during the Revolutionary War. Prior to its founding, Louisville was a French outpost named La Belle. The city was founded by George Rogers Clark in 1778. Among the few early settlers in Louisville were French immigrants coming from the Rhine River region. A lot of these settlers were fleeing Huguenot refugees. During the American and French Revolutions, more immigrants arrived from overseas, and Louisville became home to a mix races and social status. After the Revolutionary War, Louisville became a port for many ferries. A settler named Fontaine Ferry ran a ferry system so successfully, leaving a big mark on the city. The Fontaine Ferry Park was later named in his honor. The first town charter of Louisville was approved in 1780. It led to the creation of Jefferson County, and Louisville was named the county seat. More immigrants came to the area, and more developments were made to improve the city. The first fire department was established and the first street plan was laid out. Around 1783, the first general store was opened by Daniel Brodhead. The first courthouse was built in 1784, first shipping transport in 1785, the first church built in 1790, the very first hotel in 1793, and the first postal office in 1795. In June 1792, Kentucky became the fifteenth state of the United States with Isaac Shelby as the first Governor. More developments came to Louisville until the Civil war broke. This halted the progress of the city, and Louisville’s growth slowly declined even after the war. 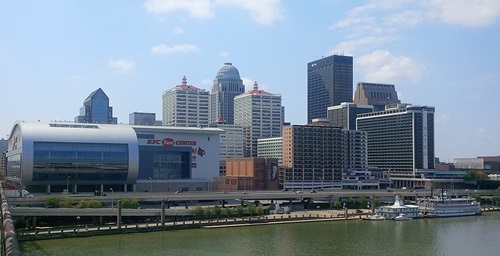 Efforts were made to bring back the glory days of Louisville, and since the 1980s, the city has been experiencing remarkable regrowth both in prosperity and popularity.